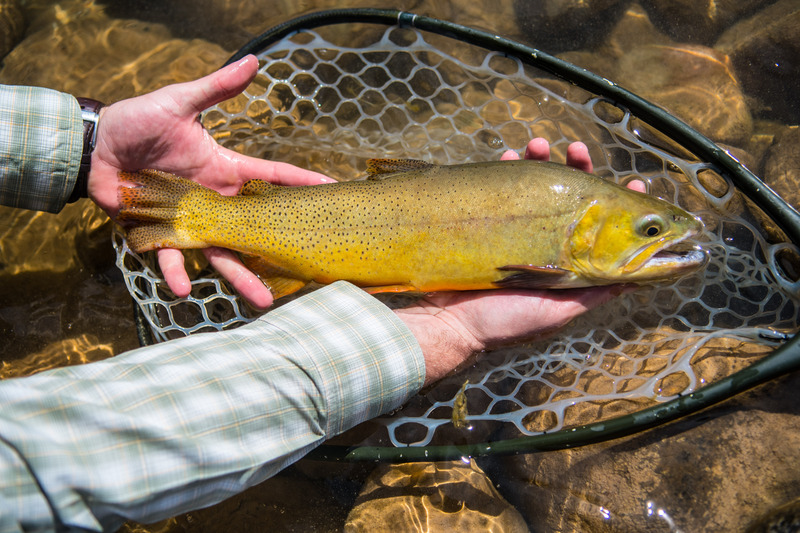 Vail Valley Anglers is all about trout. We are Trout Country. However, we offer an array of Specialty Fly Fishing Trips that go beyond the expectations surrounding a classic trout fishing experience. We provide opportunities that focus on different advanced techniques such as Tenkara, Trout Spey and Euro Nymphing. We also offer specialized trips to target non-traditional species on the fly. These species include the rubber-lipped Carp, toothy Pike, or for the truly adventurous how about a Mousing at Night float. One of our most highly requested Specialty Fly Trips utilizes electric bikes – this is our guided Bike & Fish experience. Quiet, stable, and fast – our fleet of electric bikes are the perfect transportation for your day on the water. The pedal assist technology and user friendly “throttle” allow you to zip from place to place with little effort. As you casually pedal your feet the battery is recharged for a long and exciting day on the water. We have access to paved and smooth bike paths as well as trails that wind through aspens on their way to the water. We recognize these Electric bikes as a unique solution to the constantly evolving challenge of sustainability. This is helping us achieve sustainability goals – offering this type of “green” fishing experience. It is a guided trip completely eliminates the need for a vehicle or parking. Low impact for maximum fishing and adventure. Anglers wader up at our shop, climb aboard their own electric bike and begin the fly fishing experience within minutes. Our starting point along the river is located just behind our shop. Summertime temperatures often offer an opportunity to wet wade as you bike from location to location, a truly refreshing experience. Eric Phannenstiel is the Lead Guide for our Bike & Fish trips at Vail Valley Anglers. He has access to water from East Vail to Edwards, along Gore Creek and the Eagle River. More than enough to fill up a few days of guided fly fishing. Quietly biking along, Eric will point out wildlife, fishing holes and paved public paths for your personal adventures. Great insight should you choose to venture out on your own and revisit favorite areas. Included in this trip is all of the necessary equipment for the Bike & Fish experience with the only exception being a Colorado fishing license and guide gratuity. 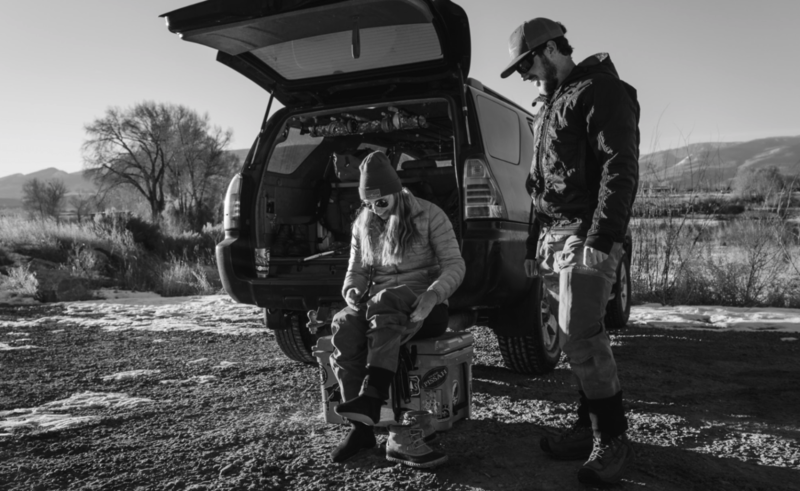 Everything else is taken care of from your guide and fully charged electric bike, along with rod, reel, flies and terminal gear as well as lunch. Some anglers prefer to bring their own gear and we can accommodate this request quite easily. Fly fishing AND playing on an electric bike. The electric biking craze captures the allure of numerous visitors who might otherwise struggle with the strenuous activity of biking at altitude. You get to pick your hole on the river and if you don’t like the spot or you fish it out hop on your electric bike, move to another spot and try your luck again. Your commute becomes a river tour where you get to see it all. The amount of riverfront you can cover is tremendous. It would be impossible to cover the same amount of water with a traditional wade fishing trip. And you can forget about achieving the same results with your car as parking quickly becomes a frustrating issue. Electric bikes eliminate all these worries. 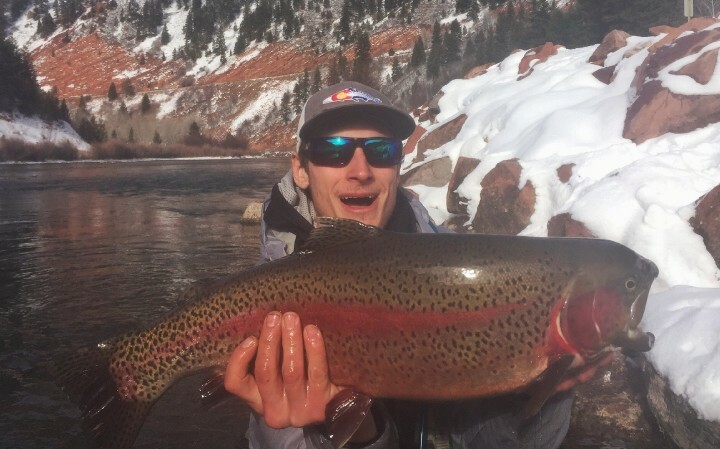 Watch the Vail Valley Anglers Bike & Fish video through this link for a short glimpse of what to expect on this style of trip. Visitors to the Vail Valley looking to fill a short day because of time constraints can easily pack a lot into a little bit of time with a Bike & Fish trip. Eco-friendly anglers will find the E-bike trip as an opportunity to enjoy a positive green experience, leaving a very little carbon footprint. Small water anglers will absolutely love the access to Gore Creek our E-bikes provide. Without needing to relocate your car, E-bike anglers don’t miss any stretch of water. Eric Phannenstiel can extend your knowledge of our local waters with an afternoon spent e-biking up and down the public bike path through Vail, Avon and Edwards. Contact Vail Valley Anglers to book a genuinely unique fly fishing adventure and enjoy a vision of the Vail valley few anglers experience. Since the new year is often a time for goal setting and preparing for the upcoming year, here are 9 new years resolutions for anglers in 2019. The Toilet Bowl: Closed FOREVER?